Welcome to my remixed version of the classic tale of Goldilocks and the Three Bears. 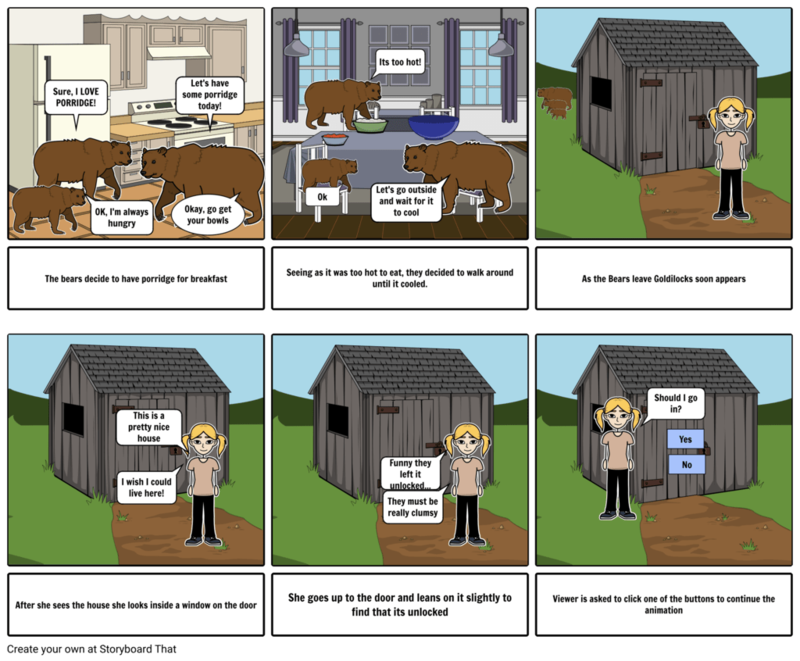 In my animation YOU, the viewer, can choose the path Goldilocks will go through. I created his animation using Scratch but before that I had to create a script and storyboard for the entire thing. I had to edit this a couple of times but that is normal for anyone creating a story. This is the link to my Script! The script was fairly easy to make seeing as I already had a whole outline for the animation itself. This is essential when creating a story, to have a plan. I had to make sure both endings were the same length which was the only struggle I faced while creating the script. After the script I was able to create the storyboards. Down below are my storyboards for the Animation. Making the storyboard was also pretty easy as my script was detailed enough for me to know exactly how I wanted it to look. 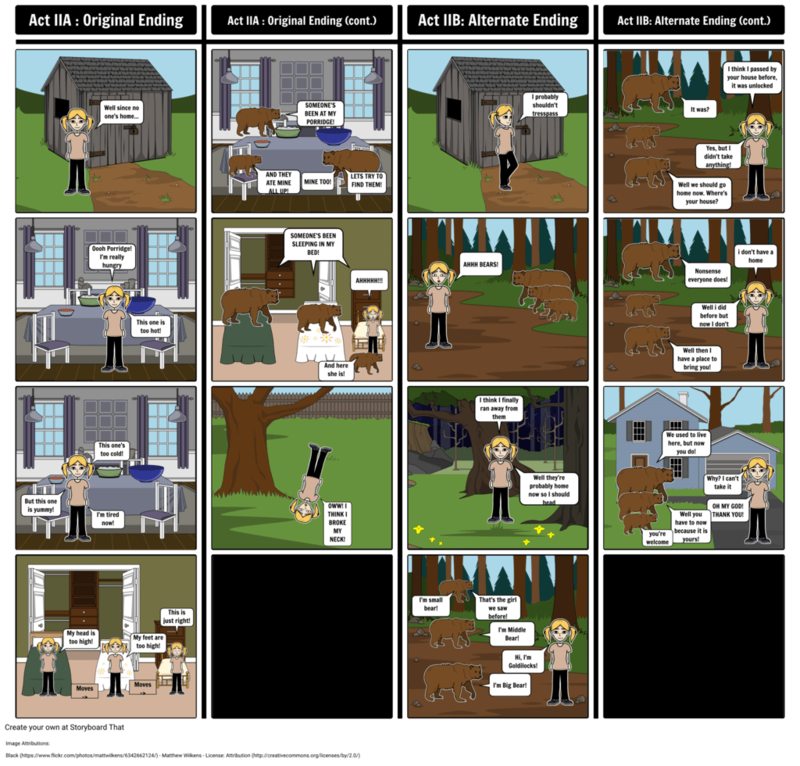 I used the program StoryBoard That to create it. My script closely follows my storyboard which was something I aimed for. After creating the storyboard I was ready to create the animation. You can test my animation down below! 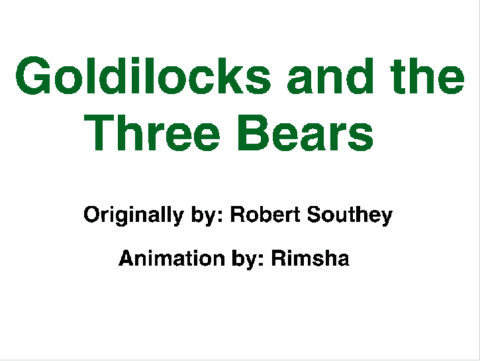 Goldilocks and the Three Bears Remixed by Rimsha is licensed under a Creative Commons Attribution-ShareAlike 4.0 International License.